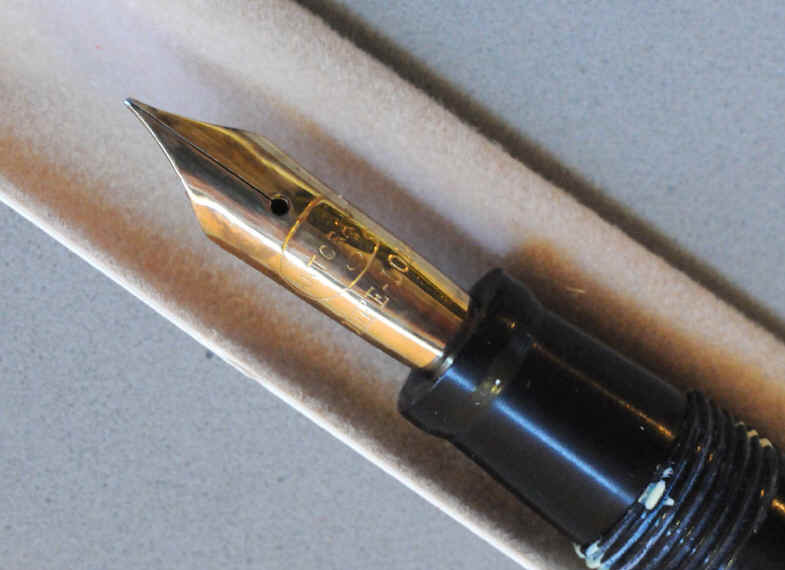 Artcraft Fountain Pens were manufactured in Birmingham, Alabama, from as early as 1920 until 1934, when the company moved to Argentina. I have managed to collect an early Artcraft pen from the 20s and a later one from the 30s, plus a cardboard box that once contained an Artcraft pen. UPDATE 12/9/10: I have added a third Artcraft to my collection. 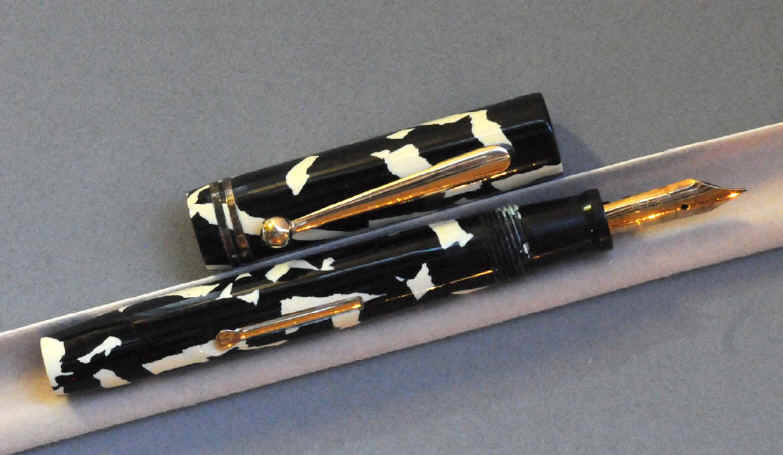 Scroll down to see the pen in the so-called "cows" pattern celluloid. Both pens and the box. The black pen is hard rubber with longitudinal lines chased in the surface and a red hard rubber section. 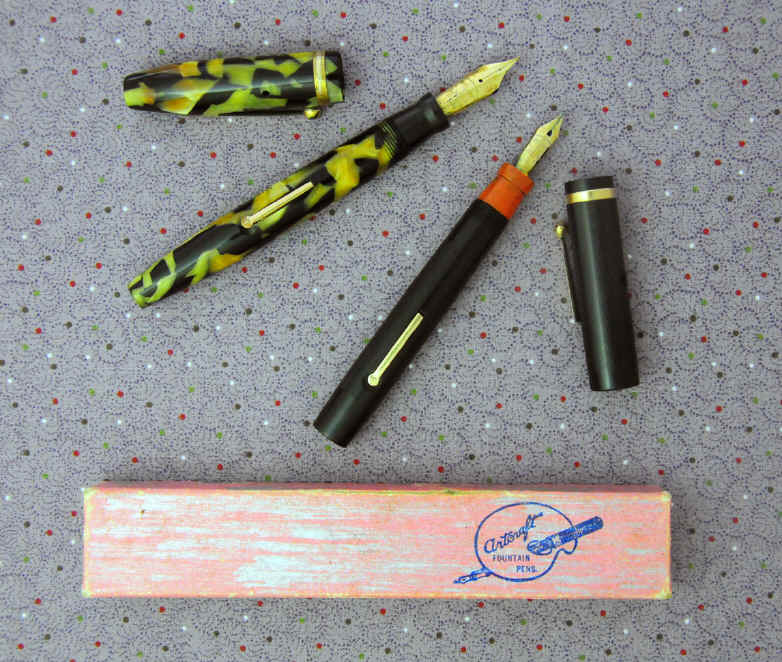 The celluloid pen is somewhat discolored near the fill lever and the top of the cap. This usually is a chemical reaction between the rubber ink sac and the celluloid and is not reversible. The pens capped. 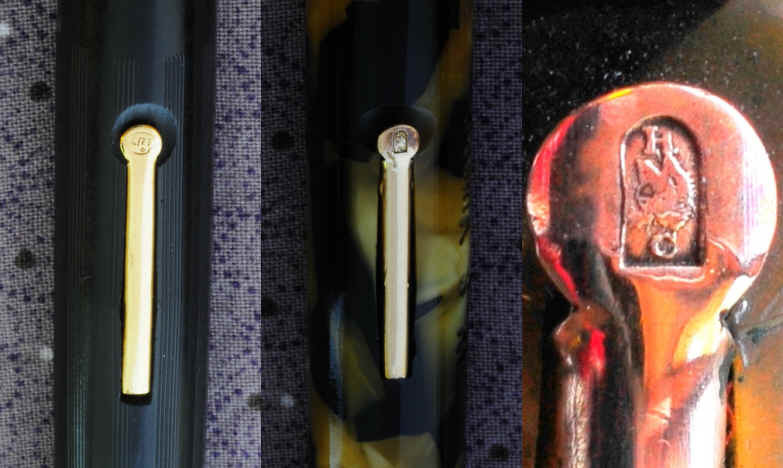 Note the small artist's palette logo on the clip and lever of the black pen. The pens uncapped. 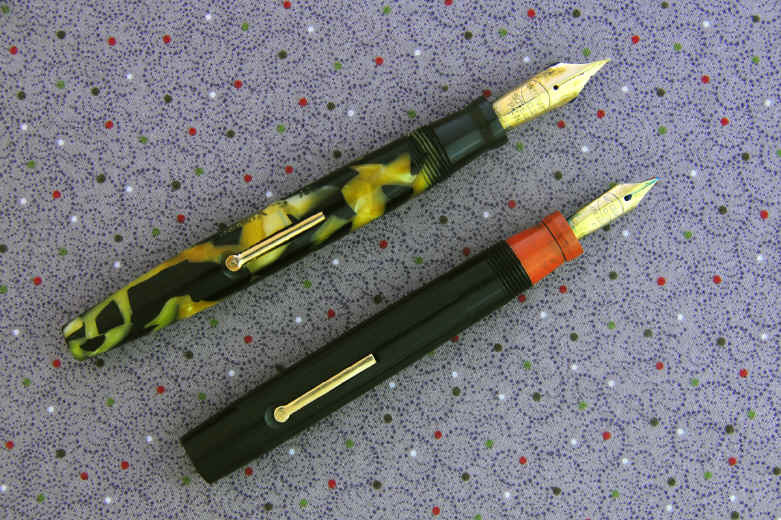 Note the artist's palette logo on the two nibs. 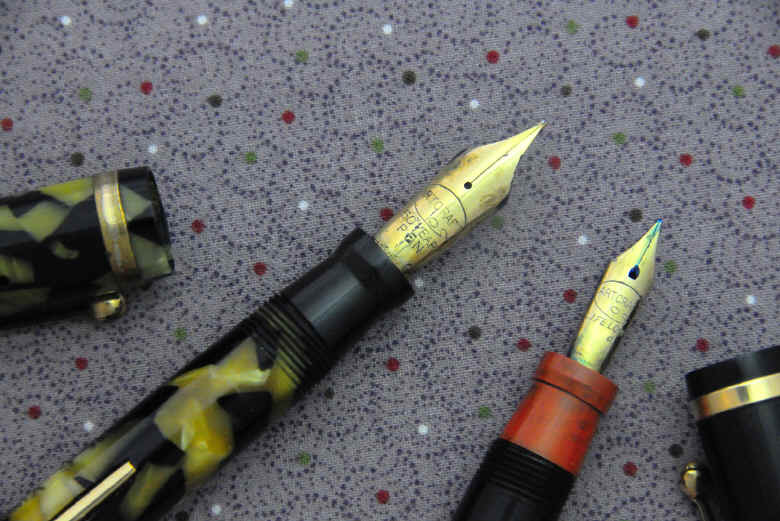 The larger nib reads 50 Year Pen, and the smaller reads Lifelong. The levers on the two pens both have some sort of logo or hallmark. 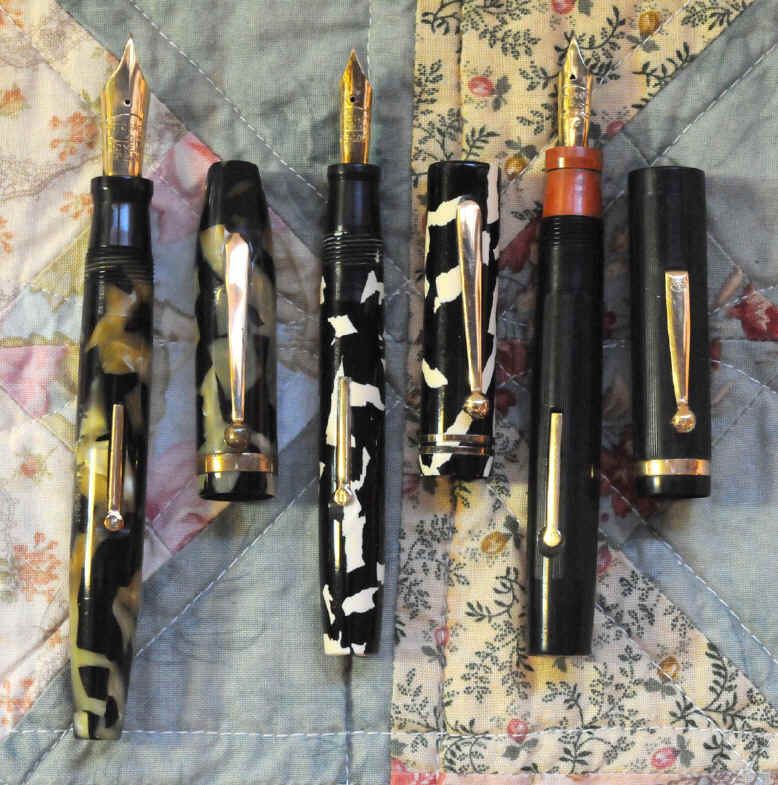 The older pen, left, has an Artcraft palette with the word ART in it, and the newer pen, center and detail right, has some sort of hallmark. The newest addition to my Artcraft collection. You can see why some collectors call this pattern "cows"! 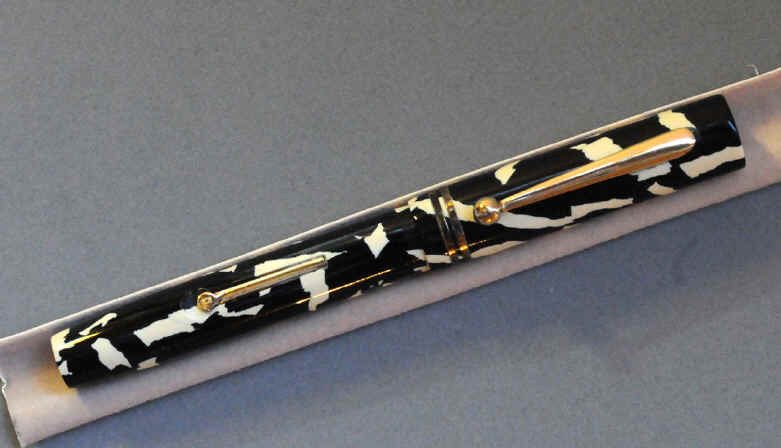 The nib on this pen is the essentially identical to the one on the BCHR pen, but the clip and lever are like the other, larger celluloid pen. 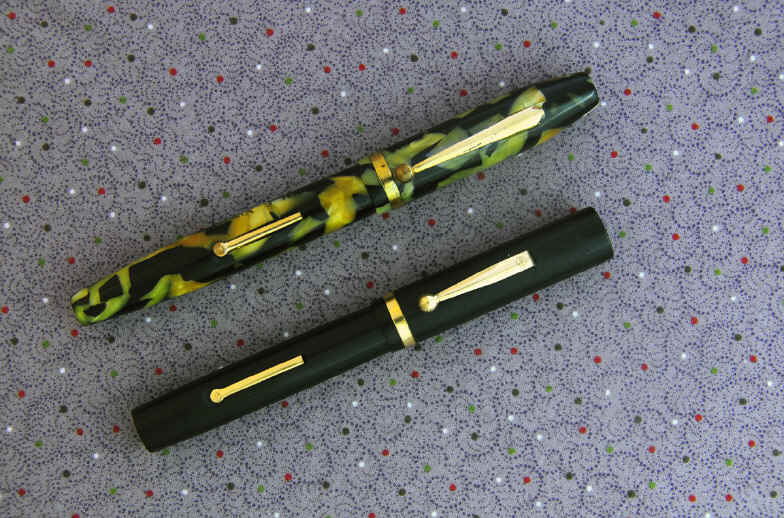 This pen is about the same size as the BCHR pen, and the other celluloid pen is quite a bit larger.